Thank you for your interest in becoming part of the WDG Architecture team at our Naples, Florida office. We are looking for self-motivated design-oriented individuals with a professional license or degree in architecture who are looking to further their career opportunities. We highly regard individuals with acute design sensibilities that are complemented by a technical acumen or at least an eagerness to learn in order to become well-rounded practitioners. Applicants should enjoy a diverse range of project types and experiences while working in a collaborative studio environment. To apply for one of the positions listed below, please send us an email to admin@weberdesigngroup.com. Indicate the title of the position you are inquiring about in the subject line of your email. Send a digital copy of your Resume/CV and your Portfolio in PDF or JPEG formats as attachments totaling 10MB maximum. We will contact you directly if we determine your credentials and experience are compatible with our staffing needs. No employment related phone calls please. 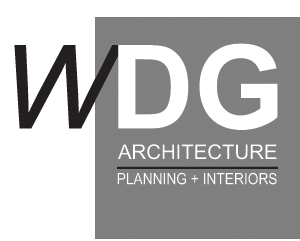 WDG Architecture | Planning + Interiors is an Equal Opportunity Employer. Professional architectural team member skilled at executing all project phases from Schematic Design through Construction Documents. This person must be self-sufficient at producing design work as well as willing to collaborate in the design process with other team members and the client. The candidate must be able to understand the technical aspects of a project and perform the development of construction drawings including coordination with consulting engineers. Excellent verbal and written communication skills are needed. This person must also possess exceptional organizational and time management skills. The candidate should be able to supervise and guide the work of other support team members throughout the various project phases. This position requires knowledge and experience in the Florida Building Code. Construction Administration phase experience is preferred but not critical. Candidate must be willing to learn or further develop their skills and experience in this project phase. This person would ideally have experience in utilizing 3D software in the design process. Architectural team member with excellent design and graphic skills who is self-motivated and eager to gain professional experience. The ideal candidate should be highly organized, possess excellent communication skills, and have an attention to detail. In addition, this person could also be a career-minded designer, drafter, and modeler with the ability to understand construction, drawing detailing, or graphics modeling.